Bhutan Land Of The Thunder Dragon: India Finds Bhutanese Electricity Too Expensive! India Finds Bhutanese Electricity Too Expensive! 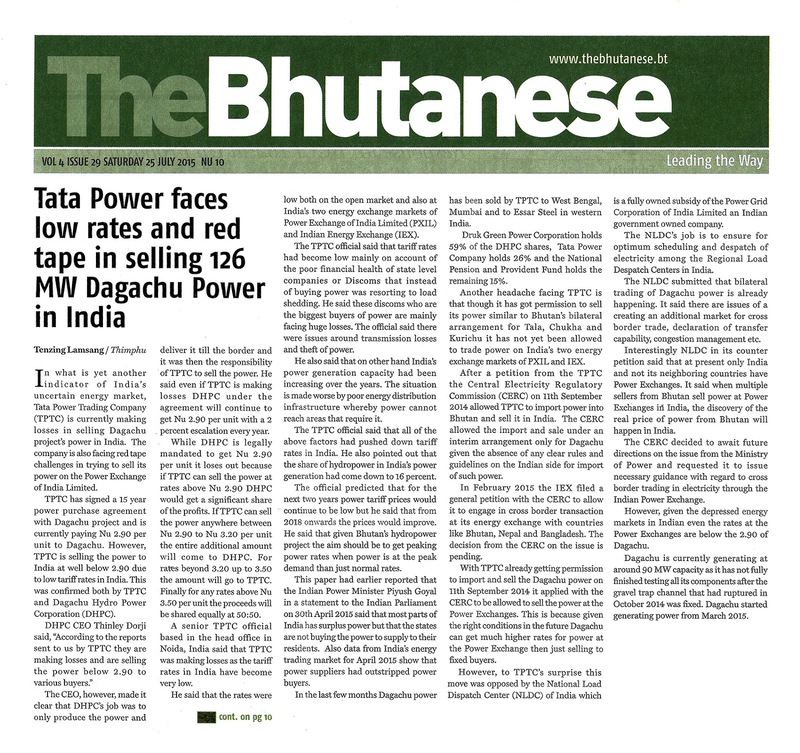 TheBhutanese newspaper reports that Tata Power Trading Company (TPTC) is facing hard times selling electricity generated by Dagachu Hydropower Project. The company is unable to sell our electricity in India at the contracted rate of Nu. 2.90 per unit. 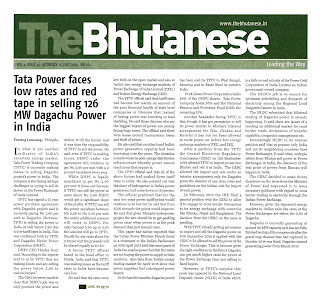 TPTC has a 15 years contract with Dagachu Pydropower Project to purchase and sell electricity in India. So, are we expecting inflation in the Indian energy market to go up by 400% - as in the case of the construction cost of Punashangchhu-I project? If not, how are we expected to profitably sell our electricity to India when the cost of generation will touch close to Nu. 6.00 per unit by the time the Punasangchhu-I is done? If this is the situation we are faced with, how can we say that “loans from hydro-power projects are self-liquidating”? Given this bleak scenario, it means the government’s decision on the financing modality of upcoming hydro-power projects at 70:30 debt to equity ratio is also unsound. In fact, it is time that we now suspend all further loans for new hydro-power projects - until all the projects that are currently in the pipeline are completed and commissioned.